Atlanta luxury home enclave, The Summit at Hardscrabble. Located in Roswell in North Fulton County, this serene oasis of only four homes is perfect for families. Children attend the top-ranked Milton High School district. The luxurious, two-story home is priced at $569,900 and is in Traton’s popular Sweetwater plan, a five bedroom, four bathroom, basement floor plan. The gourmet kitchen is a cooking enthusiast’s delight, with an oversized kitchen island, sophisticated hardwood floors, upscale granite countertops and stainless steel appliances including double ovens, gas cooktop, dishwasher and microwave. The kitchen opens up to a spacious family room with an attractive stacked stone fireplace and elegant coffered ceiling. The family room is ideal for family game nights, movie nights or entertaining. And after a long, stressful day, the owners of this final home will be able to relax in the spacious, peaceful owner’s suite, which has a calming sitting area and a luxurious bath with large shower, soaking tub, double vanities, linen closet, and his and hers closets. 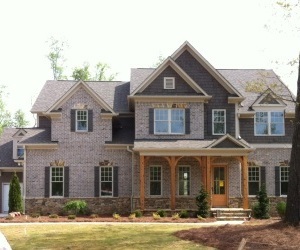 www.TratonHomes.com for more information about the community and all of their other metro Atlanta new home communities.